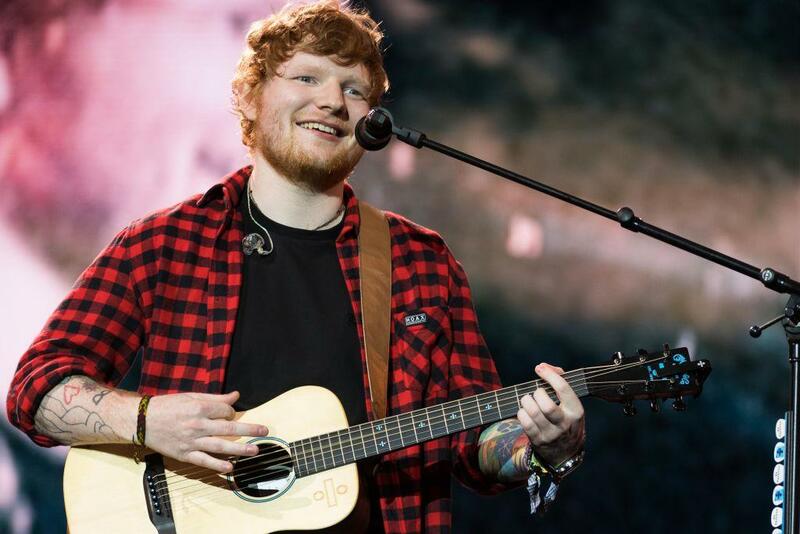 Ed Sheeran sued again for allegedly ripping off Marvin Gaye's "Let's Get It On"
Ed Sheeran is being sued again over his song "Thinking Out Loud." A part-owner of the copyright of Marvin Gaye's song "Let's Get It On" is suing for $100 million, claiming Sheeran copied sections from the 1973 classic. Structured Asset Sales, which owns one-third of the copyright of "Let's Get It On," said in legal documents that Sheeran's hit single rips off "the melody, rhythms, harmonies, drums, bass line, backing chorus, tempo, syncopation and looping" from Gaye's song, reports the BBC. Gaye co-wrote "Let's Get It On" with late songwriter Edward Townsend, whose estate sued Sheeran in 2016 with similar claims, saying Sheeran copied the "heart" of "Let's Get It On" and repeated it continuously throughout "Thinking Out Loud." It's not clear if that case has been resolved. In addition to Sheeran, the lawsuit also names Sony/ATV Music Publishing, record label Atlantic and the song's co-writer, Amy Wadge. Singer Robin Thicke, who faced a similar lawsuit a few years ago, tweeted at Sheeran, "Hey @edsheeran, call me." In 2015, a federal jury found Thicke and Pharrell Williams copied from Gaye's 1977 hit "Got to Give It Up" for their 2013 song "Blurred Lines." The trial ended with jurors awarding Gaye's family $7.4 million, though that was later trimmed to $5.3 million. Thicke and Williams tried to appeal the verdict, but it was upheld in March. Law year, Sheeran settled a copyright suit brought by two other songwriters over his hit song "Photograph." The terms of the settlement are not known, but songwriters Martin Harrington and Thomas Leonard were seeking $20 million, claiming "Photograph" was "note-for-note copying" of their song "Amazing."